Midfielder Erick Norales, of NASL’s Indy Eleven, played 45 minutes for Honduras’ National Team in the 2-0 loss to Guatemala to conclude Group A action at the Copa Centroamericana (Central American Cup) 2014 on Wednesday evening at BBVA Compass Stadium in Houston, Tex. The goals were scored by midfielder Marco Pappa in the 37th and 80th minutes, respectively. Norales, who started the first two matches for Honduras at the Copa Centroamericana, came in off the bench against Guatemala at the start of the second half. The result along with El Salvador defeating Belize, 2-0, in the other Group A encounter, qualified Guatemala as one of the four direct berths to the 2015 CONCACAF Gold Cup. Guatemala, who captured the Group A crown, will take on Costa Rica for the Copa Centroamericana title on Saturday at the L.A. Coliseum, with the winner also progress to the Copa América Centenario, a 16-team tournament of CONMEBOL and CONCACAF national teams to be held in the United States in 2016. 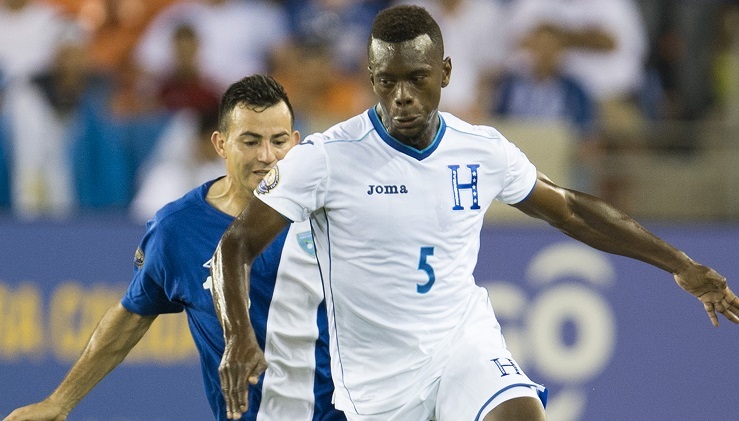 Honduras will now face Nicaragua in the tournament’s fifth-place game on Saturday in Los Angeles, with the winner to compete in a playoff match against the fifth place team from the 2014 Caribbean Cup a berth to next year’s Gold Cup.